Over the course of one momentous day, two women who have built their lives around the same man find themselves moving toward an inevitable reckoning. Former Lutheran minister Henry Plageman is a master secret keeper and a man wracked by grief. He and his wife, Marilyn, tragically lost their young son, Jack, many years ago. But he now has another child—a daughter, eight-year-old Blue—with Lucy, the woman he fell in love with after his marriage collapsed. 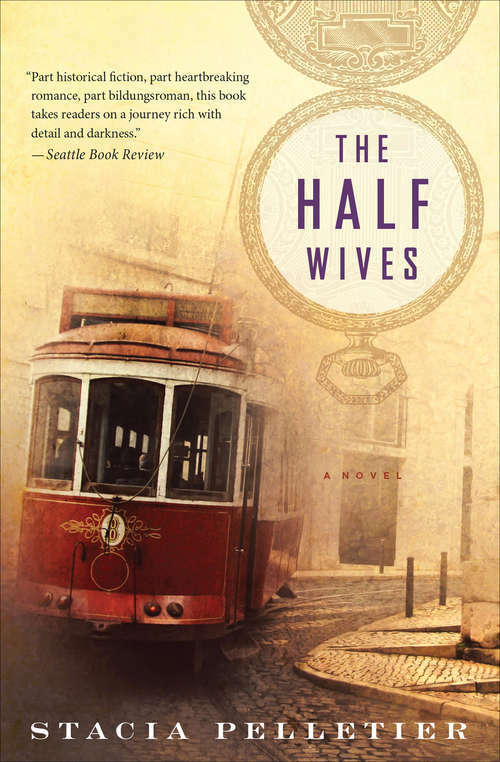 The Half Wives follows these interconnected characters on May 22, 1897, the anniversary of Jack’s birth. Marilyn distracts herself with charity work at an orphanage. Henry needs to wrangle his way out of the police station, where he has spent the night for disorderly conduct. Lucy must rescue and rein in the intrepid Blue, who has fallen in a saltwater well. But before long, these four will all be drawn on this day to the same destination: to the city cemetery on the outskirts of San Francisco, to the grave that means so much to all of them. The collision of lives and secrets that follows will leave no one unaltered.